This is what I bought, borrowed and won this week. Yap, indeed I won something, thank you mirapodo for my new iPod shuffle in pink. Last time I won something was in primary school, a walkman... no more words. The bag is on loan from my mum, because I can`t find a new black one in the right size. 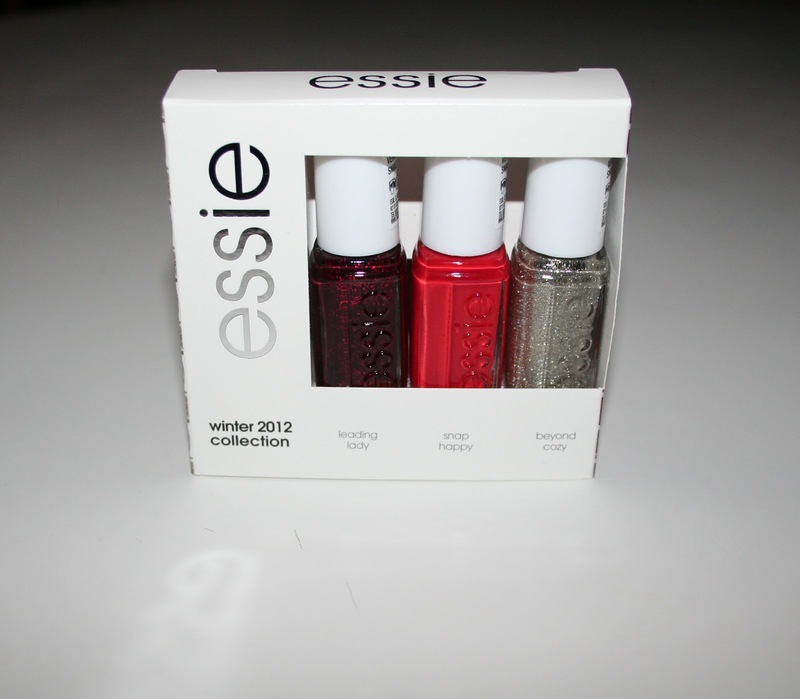 Really a nice idea is the Essie nailpolish collection. As you might have noticed, I´m a little bit addiccted to new nailpolish, especially Essie and Chanel ones. But I usually don`t use a colour very often, so when I discovered the little versions of the Essie winter collection, it felt like a stroke of luck for me. The Nikes will hopefully keep my feet warm through winter. And finally the sweater is a very practical buy, you don`t need a necklace when you wear it.